Decade by decade, The Vans Checkerboard Slip-On remains the official shoe of the skate scene. These two-tone originals became the must-have footwear for grunge and skate subcultures in the 80s and 90s and continue to be a timeless throwback. 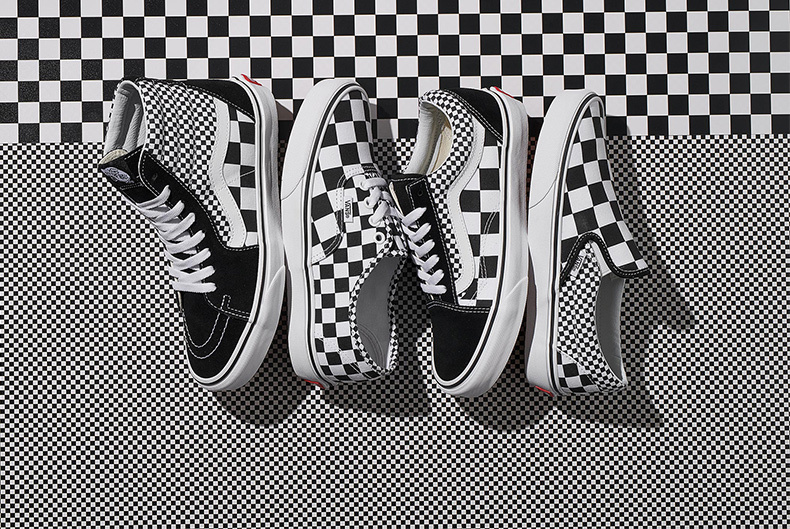 No matter when you joined the checkerboard revolution, or if you’re still waiting for the perfect style, you’ll be glad to know that Vans didn’t stop with the Classic Slip-On. They’ve doubled up on the checkerboard for these monochrome heroes, using two sizes of the print. Turn up the Blink 182 and let the nostalgia take over with the Old Skool, Authentic and Sk8 Hi updates.